So for the last 24 hours, I’ve been obsessed with this thrift store find! 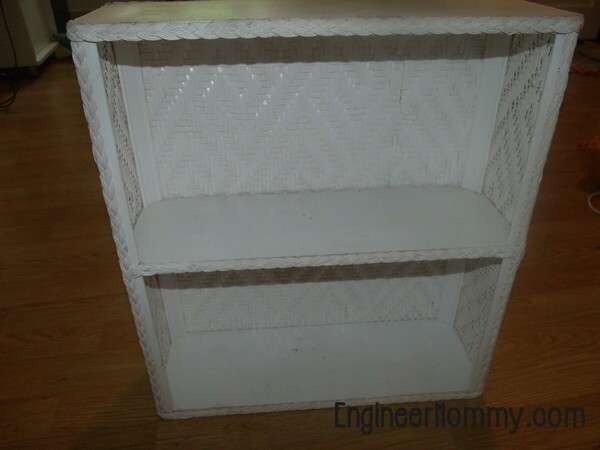 It’s a basic white wicker bookcase with two shelves. I’m not even sure where it’s supposed to go… the wicker makes me think bathroom or maybe garden? I have no idea, but once I saw it in the thrift store, I thought dollhouse! It just looked like a perfect structure for a dollhouse. The size looked about right, and even the wicker on the outside edges looked to me like a whimsical siding on a house… okay, that may be a bit of a stretch, but I think it could work. 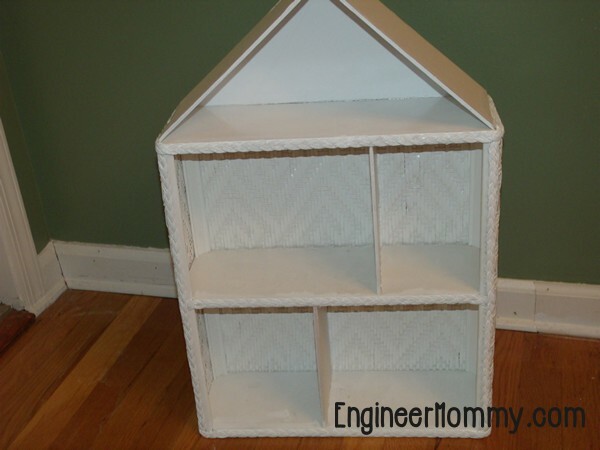 So here’s how I turned this basic wicker bookcase into an adorable dollhouse. This is Part 1 of a series. 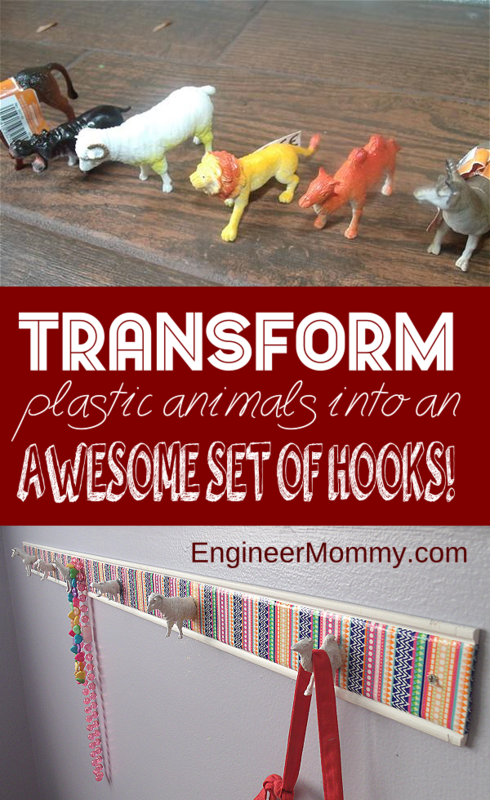 In the next part, I will share how I used scrapbook paper as wallpaper and felt / fabric as rugs! In the final part of the series, I will share how I built some DIY dollhouse furniture and how I staged each room to really come together. So, let’s look at how the transformation was done, shall we? Ok, so here is the bookcase as I brought it home! The first thing I did was paint it in order to get rid of some of the yellowish (ewww) stains on it. I used spray paint on the wicker part. I did this outdoors so the fumes wouldn’t be bothersome. I used a foam brush on the flat shelf parts. Here is the bookcase after the paint job! 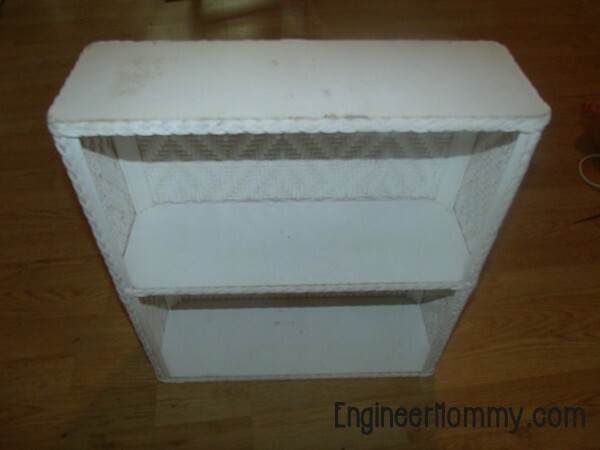 Next, I took a piece of white foam board and planned to cut out rectangles to form walls on the upper level (shelf) and the lower level (shelf). I measured the height and width of the spaces and then cut out the foam board. I found it a bit difficult to actually cut through the board with regular scissors. One thing I found helpful was to score the board with a utility knife or razor blade. Slice it alongside a ruler so you get a nice, clean edge. Then you can fold the board and the board will snap along the scored line! If you have any difficulty with it, try scoring it on the opposite side as well. So, the actual walls were pretty simple to cut and adhere. I made sure the height of the walls was as close as possible to the height available on the shelf. This way, when you try to straighten the board the tension will help to hold it up. 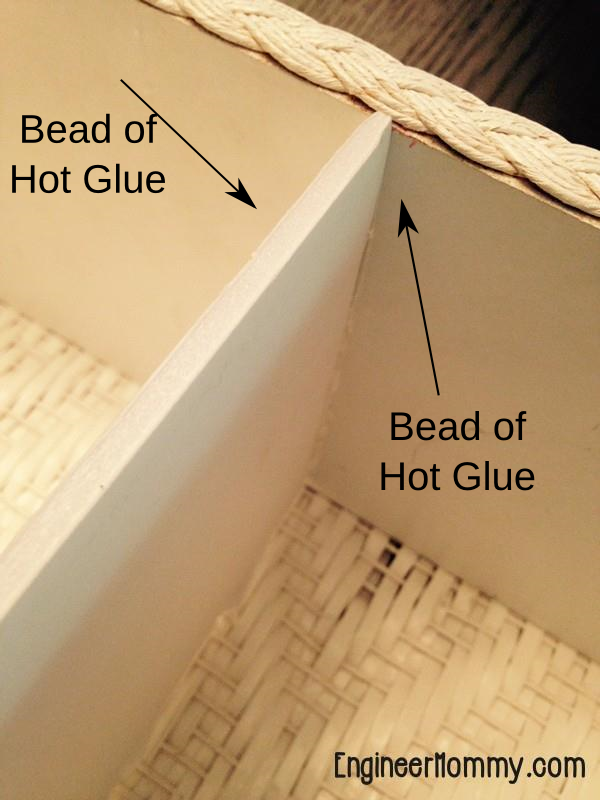 In addition, I used a bead of hot glue at the top and bottom edges on both sides of the wall. 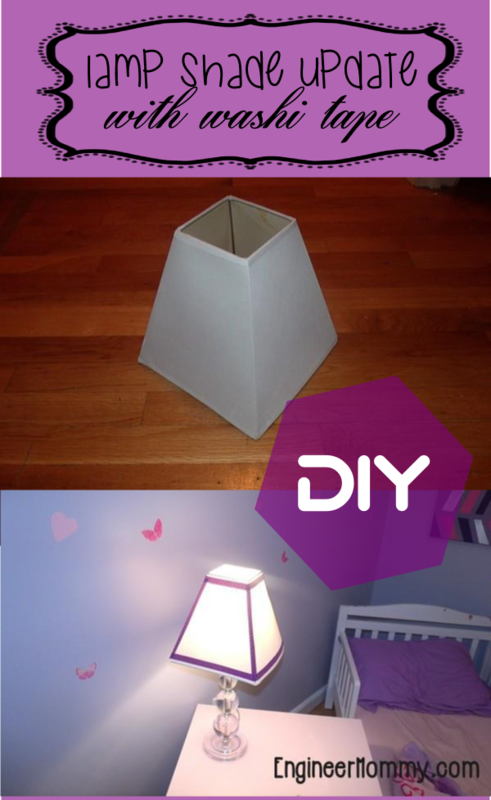 This way, the glue will also help to keep it in place and prevent it from sliding over. So in order to make the roof structure, I needed to cut various parts out of my white foamboard. See the image below for the parts I cut out! The two roof sides form the top (right and left sides) of the roof. 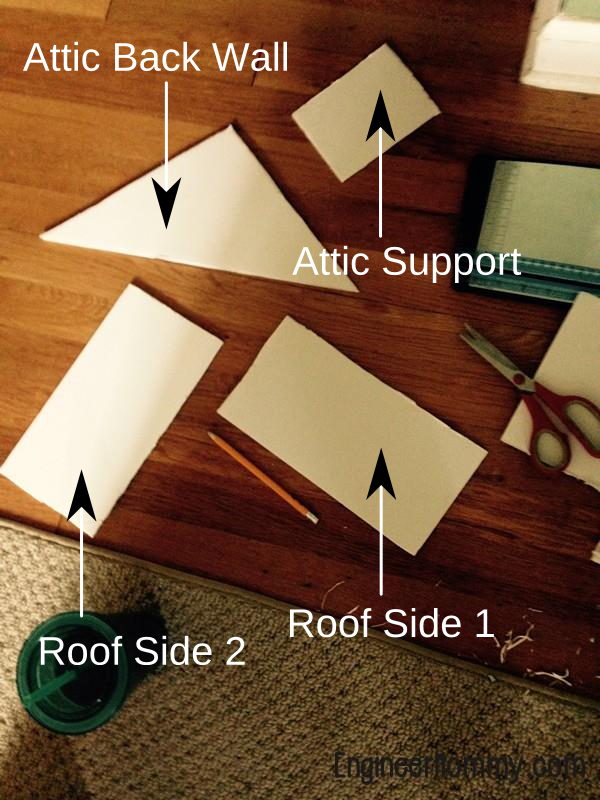 The attic back wall piece is the triangle that will help support the actual roof sides, as they will rest on top of the attic back wall piece. 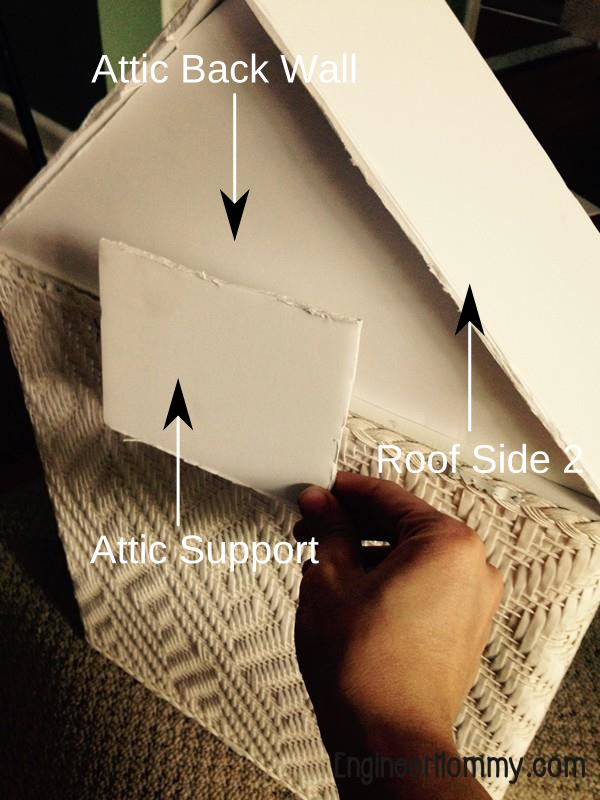 And the attic support is the piece that will help support the attic back wall piece (triangle); see the images below for the various parts in their places! I used hot glue to adhere all the parts together. I then let it all dry for a few hours, and it seems pretty sturdy and stable at this point. 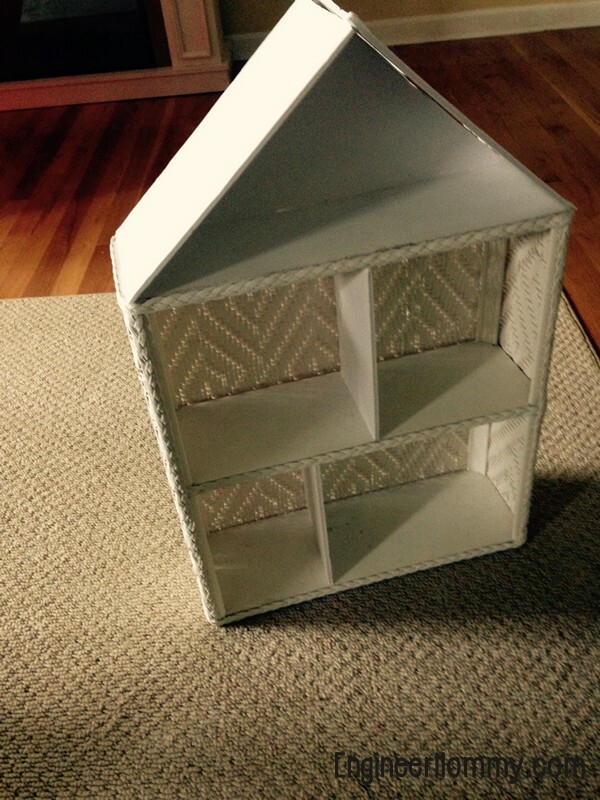 I’m loving the way my little bookcase-turned-dollhouse is coming together! 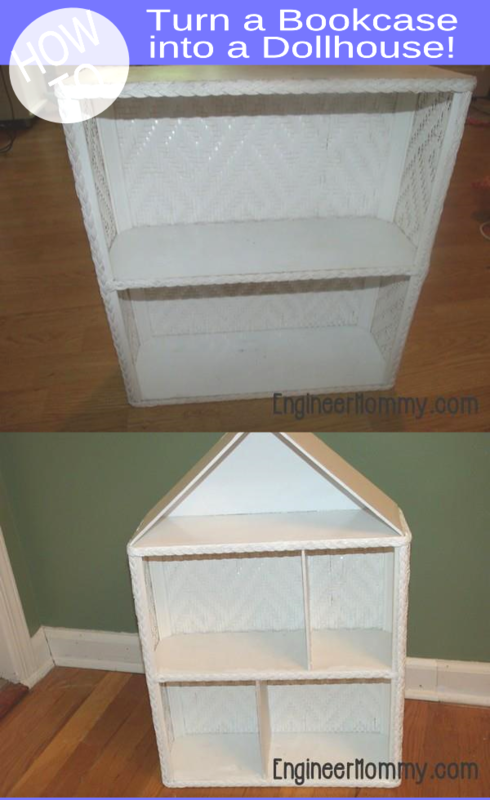 It was an easy transformation and I can’t wait to show you what I do next with my dollhouse!